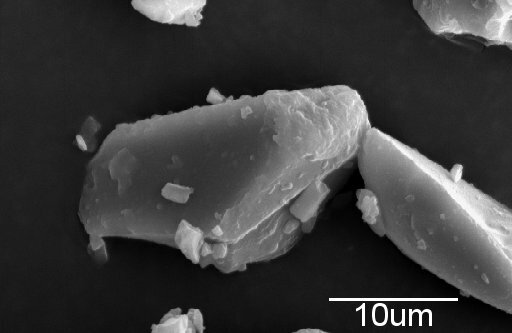 Two SEM images of Innovative Natural Products 500 ppm. 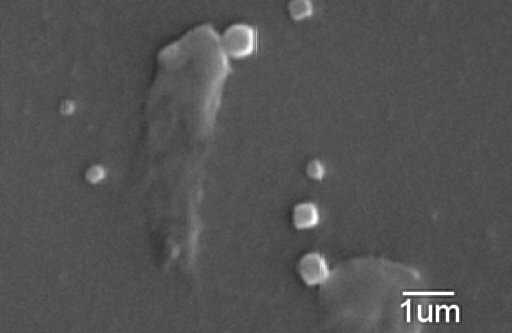 Here is an image from a scanning electron microscope (SEM) showing the silver particles in a typical silver protein product. While some of the particles appear to be around 0.2 microns (200 nm) , many are close to a micron (1000 nm) and some much larger. Some silver protein products are produced by adding water to "silver protein" or "mild silver protein" powder which is manufactured by several large chemical supply companies. 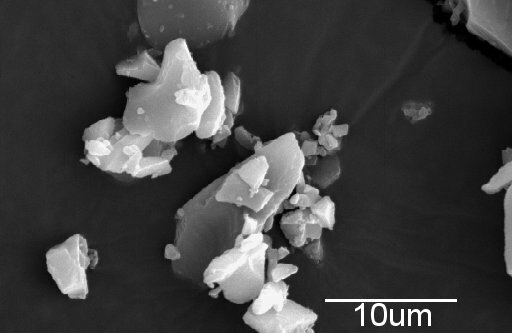 Here is what the silver particles look like in the powder. 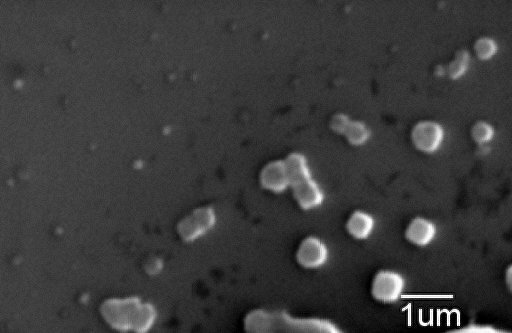 Two SEM images of silver particles in "mild silver protein" powder.